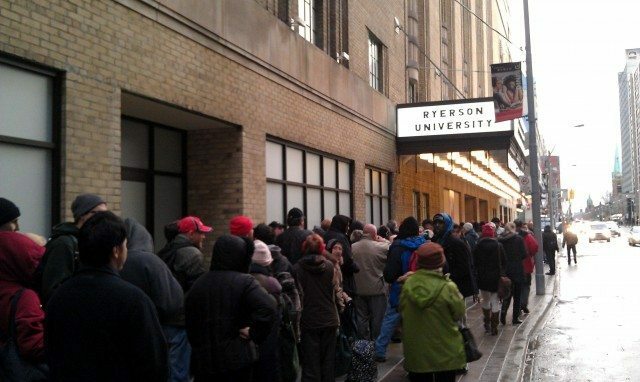 The lineup outside Maple Leaf Gardens this morning. Building on the multi-purpose model Loblaw Companies Limited uses across their grocery chains, this new Loblaws is aimed at being more of a food destination than just a food buying place. 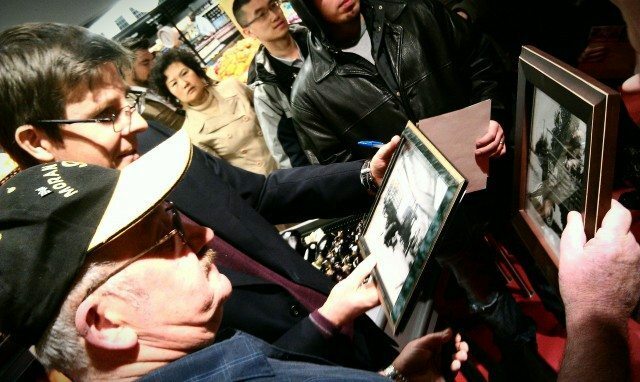 In his opening remarks, Weston billed the new store as a re-imagination of the large urban supermarket that recognizes the character and needs of the neighbourhood as well as the history of the building. And as far as large urban supermarkets go, this place has it covered. The main floor supermarket has all the modern-day usuals like a custom-order sushi counter and a large bakery. Plus there are plenty of eat-in tables, a cafe with free wifi, and 14 in-house chefs on hand to whip up fresh meals. With giant cheese walls and a butcher display case replete with dangling meat, the food is hard to ignore. Food takes centre stage, as Weston says. But the history of the Gardens does not go unnoticed. Today may end the grand visions for the Shrine to become a shrine of anything it once officially stood for, but judging from the crowds, people are ready to move on. And Loblaws is trying its best to abate the outpouring of nostalgia with some design flourishes. The facade remains mostly intact with the marquee restored to vintage glamour. Inside the store, some original window frames and lighting fixtures have been refurbished. There is a replication of the mural that graced the Gardens’ walls since 1994. And old arena seats are scattered throughout the building, a bank of them refurbished and all ready for sitting in the cafe area, as well as a chair sculpture of a big blue leaf that hangs above the entrance. And centre ice is there. 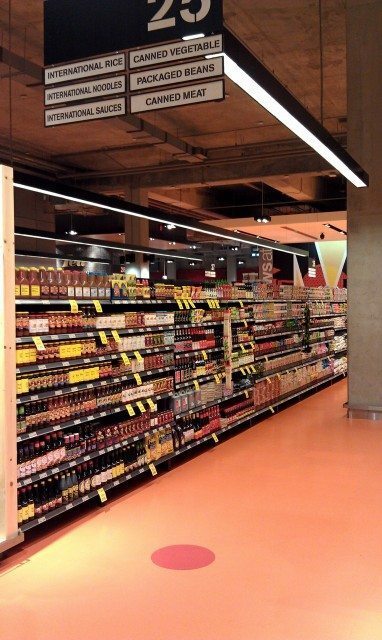 It’s marked on the Loblaws orange floor with a Loblaws red dot, between the canned ham and “international sauces,” halfway down aisle 25. Check back later for more images of today’s launch.